Medical scientists from the University of Illinois in the US are experimenting with a new type of omega-3 supplement, that can increase the concentration of omega-3 fatty acids in the brain in a way that is not possible with regular fish oil and krill oil. The researchers published an animal study in which the new substance sn1-DHA-LPC significantly improved the memory of mice. Omega-3 fatty acids such as DHA are commercially now available in two forms: as fats or trigllycerides in the traditional fish oil capsules, and as phospholipids in krill oil capsules. In these phospholipids - the researchers prefer to speak of lysophosphatidylcholines [LPC] - the omega-3 fatty acid is usually at the molecule's sn2 position. As lysophosphatidylcholine analogs omega-3 fatty acids are absorbed better than in the form of a triglyceride. However, the researchers are convinced that LPC fish fatty acids are absorbed even better when the fatty acids are at the sn1 position of the molecule. The researchers experimented with 4 groups of mice. The first group received standard feed for 30 days [Control]. The second group received daily DHA in its free form via the oral route [Free DHA]. 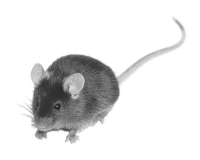 If the mice had been humans, they would have received 350-450 milligrams of DHA daily. Mice in a third and fourth group received the same dose of DHA daily via the same route, but in the form of sn1 and sn2-DHA-LPC respectively. In the animals that received DHA, the concentration of DHA in the brain did not increase. 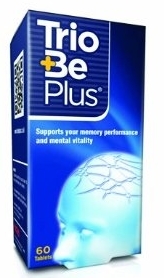 Supplementation with sn1 and sn2-DHA-LPC did increase the concentration of DHA in the brain. After a month of supplementation, the researchers put the mice for 5 days in a aquarium for a few minutes, in which a platform was hidden. Mice do not like swimming, and feel better when they can rest on a platform. The supplementation did not affect the time the mice needed to find the platform [bottom left]. When the researchers put the mice back into the water after they learned where the location of the platform, the mice that had received DHA found the platform as quickly as the animals that had received no active substances. The sn1 and sn2-DHA-LPC mice, on the other hand, found the platform in a shorter time frame [bottom right]. The researchers repeated the experiment, but this time with only two groups of mice. One group received sn1-DHA-LPC, the other sn2-DHA-LPC. The sn1-DHA-LPC group performed better. In some parts of the brain, such as the cortex and hippocampus, the researchers found an increased activity of the 'brain hormone' BDNF in the test animals given sn1 and sn2-DHA-LPC. That's not a complete surprise. DHA activates BDNF. BDNF induces brain cells to develop and connect with each other, allowing the brain to record information. Sci Rep. 2017 Sep 12;7(1):11263. American psychiatrists reached this conclusion after doing a small study, which they published in Psychiatry Research. Omega-3 fatty acids offer protection against depression, physical blows and falls, and lots more. Japanese researchers have worked out how.